To function as a non-profit organization with chiefly spiritual aims, namely to assist its members, who are lawyers, or legally trained persons professing the Catholic faith, to obtain sanctity in the profession, through the practice of Christian virtues. 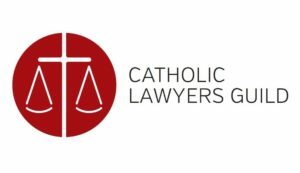 To help newly qualified or graduated Catholic lawyers realize their profession as a noble calling of their faith. To render assistance and offer knowledge or opinion to lay persons in the matters of the Catholic faith and the law. To render assistance to the Catholic Church of the Archdiocese of Singapore. The CLG Pro Bono Legal Clinics are located at Agape VIllage. It provides legal assistance for the poor, disadvantaged and sandwiched classes to obtain advice on personal matters such as family issues, estates, employment and personal accidents. How to Register for the CLG Pro Bono Legal Clinics? Please call CLG at +65 6801 7494 or send an email to admin@clgsingapore.com to register for an appointment to the clinics.